After a busy few days in Ontario, Canada – during which I contributed to a research symposium at McMaster University on UK efforts to build a UK-wide network of library and information science researchers, ran a workshop on promoting research using social media for McMaster PhD students, and delivered a colloquium paper on the work of the UK Library and Information Science Research Coalition and its lasting impact at the University of Toronto – I am now in St Louis, Missouri in the US for ASIST 2015. The conference proper started on Sunday afternoon (following two days of pre-conference seminars and workshops), and runs until Tuesday evening. I have had quite a lot to do with ASIST this year in my role as papers co-chair, which I have shared with Dr Brian Detlor of McMaster University. Our work was recognised in yesterday’s opening session when the conference chair – Professor Lisa Given of Charles Sturt University in Australia – introduced the conference theme of ‘Information science with impact – research in and for the community’. As well as managing the process for reviewing the 111 paper submissions, Brian and I were involved in the selection of keynote speakers. 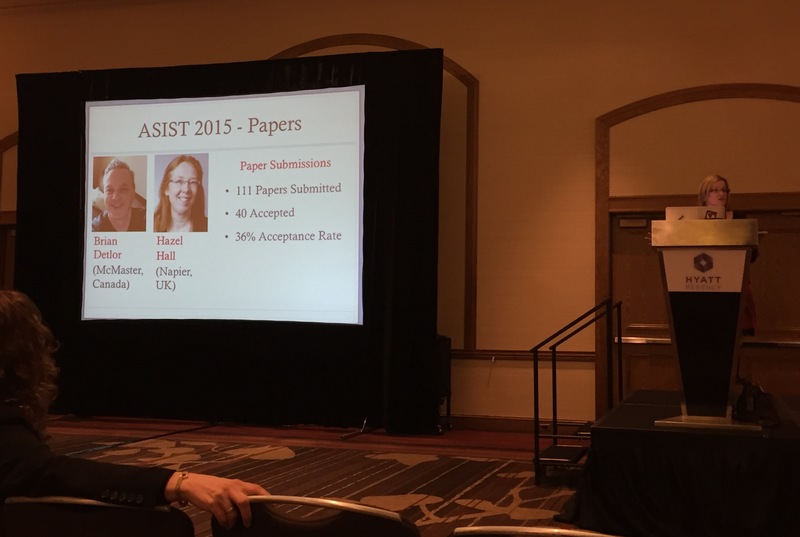 I was delighted that Dr Sarah Morton of the University of Edinburgh, who made a contribution to a project that I led on research impact in library and information science in 2011 (RiLIES), accepted an invitation to speak at ASIST 2015. It’s great for those of us who have been heavily involved in bringing the event together see how it is finally delivered. A number of people have been tweeting the sessions so that those beyond the conference delegates can keep up to date with the action at ASIST 2015. The hashtag is #ASIST2015 should you wish to follow it. 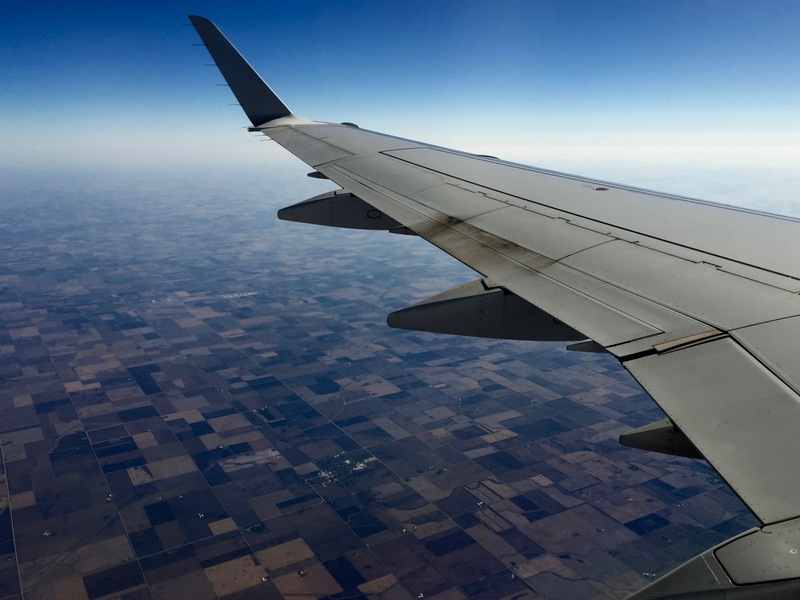 This entry was posted in Appointments, Events, PhDs, Teaching and tagged ASIST, ASIST2015, Brian Detlor, Charles Sturt, Lisa Given, McMaster University, RiLIES, Sarah Morton, St Louis, University of Edinburgh, University of Toronto by Hazel Hall. Bookmark the permalink.